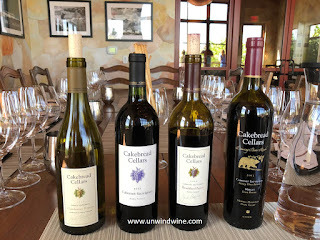 We all know Cakebread Cellars with their wide distribution of their Cabernet Sauvignon and Chardonnay. But, few realize that only three of their 25+ labels actually are in distribution. The rest of their collection of labels are available only at the winery or to wine club members. 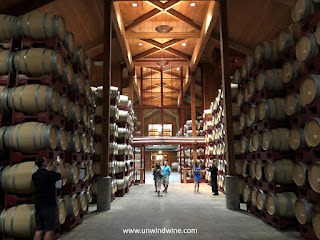 Hence, Cakebread was one of our shortlist targeted producers for this year's Napa Valley Wine Experience. 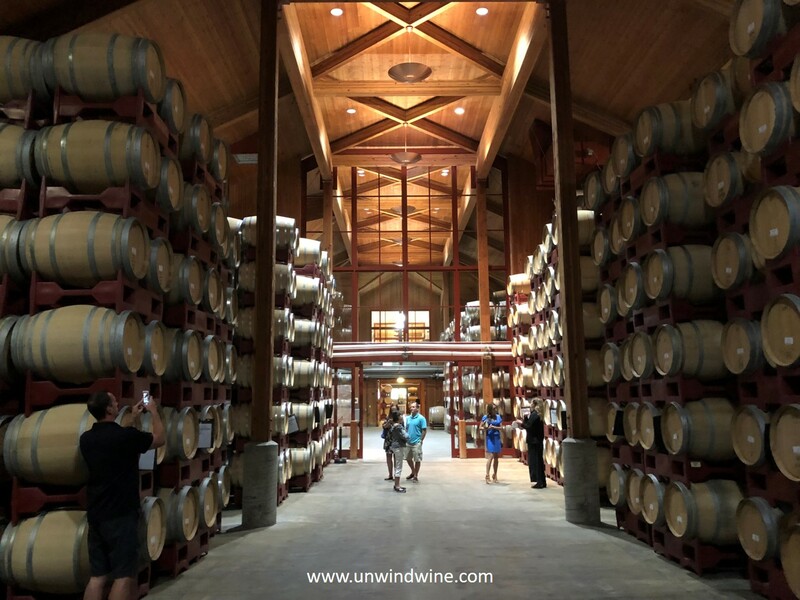 After forty years, Cakebread Cellars is still a family owned and operated business. It is one of the early pioneers in the modern era of Napa Valley wines, founded in 1973 by Jack and Dolores Cakebread. 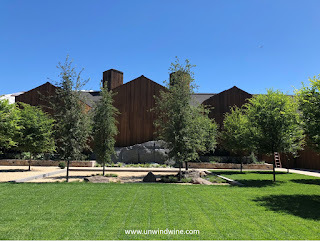 The first Cakebread Cellars Cabernet Sauvignon (’74 vintage) was released in 1976 from fruit at the Estate behind the house on Hwy 29 in Rutherford. Son Bruce Cakebread joined the family business in 1979 full-time as winemaker after graduating from UC Davis. That year, five fermenters were installed outside the front barn with refrigeration being hooked up the night before the grapes arrived. In 1982, Jack Cakebread purchased the 12 acre ranch adjacent to the original estate site and planted Cabernet Sauvignon and Cabernet Franc. Son Dennis Cakebread joined the winery in 1986 and to this day is responsible for finance along with Editsales and marketing. 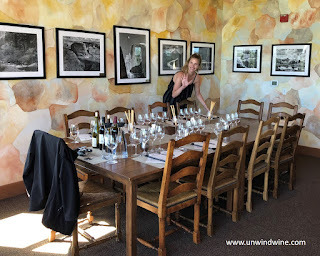 That year, Julianne Laks’ 1st year as Assistant Winemaker..
Today, Cakebread Cellars has vineyard properties located throughout Napa Valley and a location in the Anderson Valley. 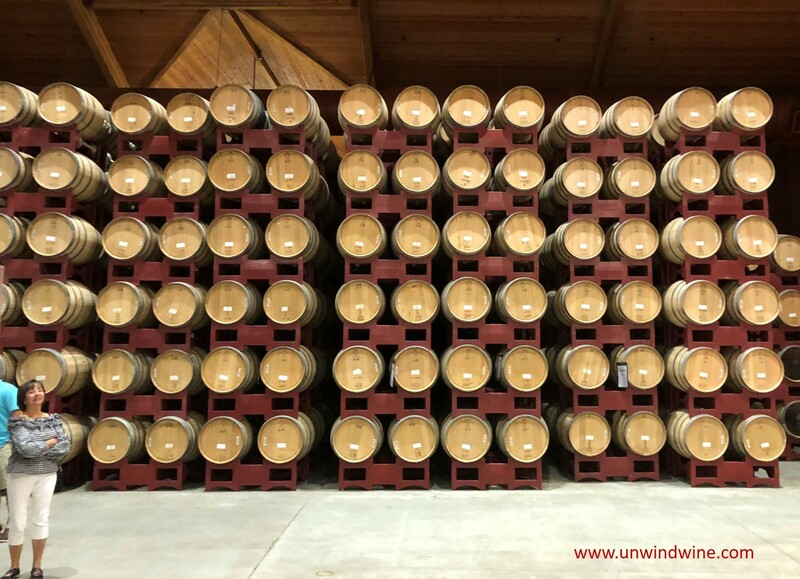 The winery ranches surrounding the production facility in Rutherford are where it all began when the first 22 acre parcel was purchased in 1972. 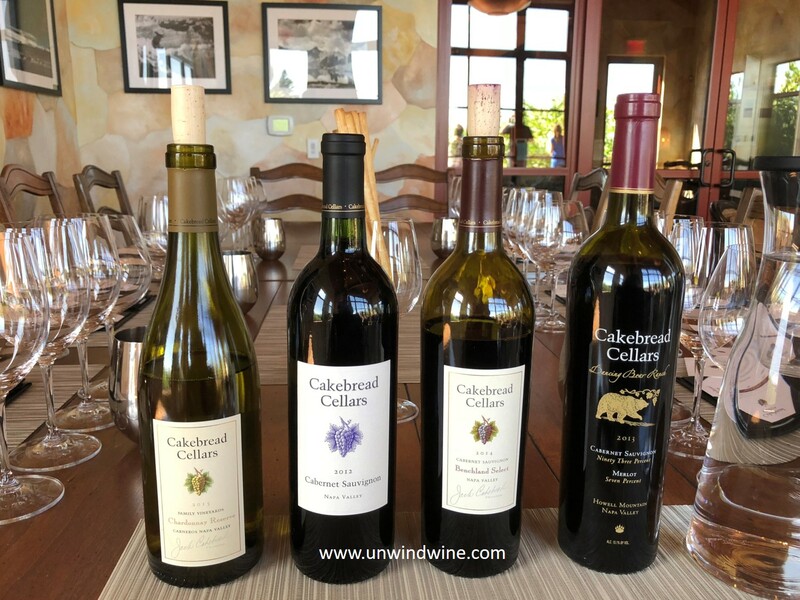 Over the years, the Cakebread family has continued to acquire additional vineyard parcels throughout Napa Valley and the North Coast. Today, the winery owns 15 sites totaling 1617 acres, 584 of which are currently planted, which allows them to be fully vertically integrated, and to provide consumers with consistent supply of product for their growing array of labels, many vineyard and appellation specific offerings, each with their distinctive terrior. 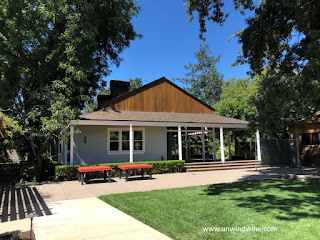 Cakebread offer a range of tastings at the Estate Winery on St Helena Highway 29 in Rutherford. 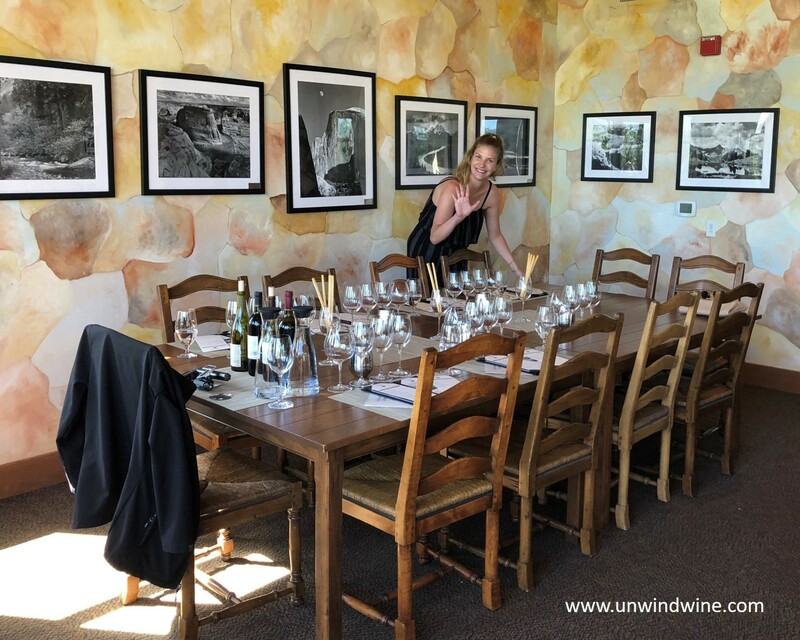 We chose the Reserve tasting so we could sample what they consider their signature, best wines.Notably, these Reserve or Select wines are only available at the winery or to wine club members. In 1998, Cakebread purchased 200 acres on Howell Mountain and commenced development of these hillside vineyards into what becomes Dancing Bear Ranch. The property got its name from Black Bears the roamed the site and 'danced' amonge the vines tearing them up during the night. The first vintage of Dancing Bear Ranch is released in 2002. Dancing Bear Ranch is located on the upper slopes of Howell Mountain in the Northeastern Napa Valley at upper elevations ranging from 1450’ to over 1600’ above sea level and a near 360 degree exposure. The mountainous site spans 194 acres of which only 29 are planted. The varietals planted there are all Bordeaux varietals - Cabernet Sauvignon, Merlot, and Cabernet Franc. The vines there are stressed, being rooted in shallow, rocky soils, ideal growing conditions for wine grapes. With its isolated mountainous locations, the site is home to a wide range of wildlife, including: turkeys, mountain lions, bobcats and of course, bear. This vintage release is a blend of 93% Cabernet Sauvignon and 7% Merlot. Robert Parker gave this wine 96 points. Dense inky black purple color, full bodied, rich thick concentrated but nicely polished and integrated flavors of blackberry and black raspberry fruits accented by tones of cassis, hints of tar, dark mocha and a touch of cinnamon spice on the lingering tongue coating finish. 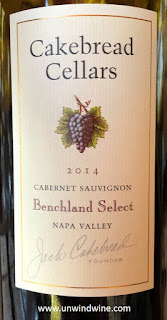 Cakebread started producing Benchland Select with the 1995 vintage. This is named for the vineyard sources, two gently sloping western 'benchlands' of Rutherford and Oakville in the heart of Napa Valley. Dark garnet colored, medium-full bodied, smooth polished, elegant, nicely integrated fruits of blackberry, blackcurrant and black cherry accented by a layer of mocha chocolate, hints of cinnamon spice and sweet, toasty oak turning to supple, polished tannins. This was added to tasting flight based on my inquiries about Cabernet Franc in their wines. This is a blend of 96% Cabernet Sauvignon & 4% Cabernet Franc. 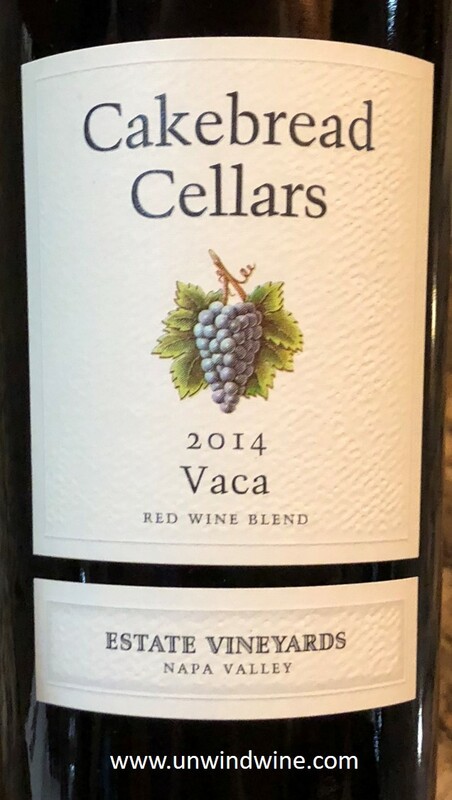 This is only the third vintage of Vaca, named for the vineyard sources, two of Cakebread's three Napa Valley hillside estates – Doggwood (52%) and Suscol Springs (48%) – on the western slopes of the Vaca Mountain Range, which forms the eastern boundary of Napa Valley. Both are high-elevation sites with steep, angled slopes that provide much sun exposures, and well-drained, rocky, volcanic soils that yield grapes with deeply concentrated flavors. Some of the fruit comes from their Suscol Springs Vineyard, east of the town of Napa. It is the coolest of our three Vaca Range estates. (Doggwood and Dancing Bear are the others.) Its vines are planted in rocky outcrops overlooking the Napa Valley floor. The Doggwood Vineyard is located further north above Conn Dam near Napa’s eastern ridgeline in a warm, bowl-like valley that provides multiple sun exposures. The elevation and thin, rocky soils of these sites naturally limit grape yields and produce small clusters with intense, powerful flavors. This was dark inky purple colored , medium full-bodied nicely balanced, rich blackberry, black cherry and plum fruits predominate, notes of leather, tobacco leaf and herbs with hints of soft oak, with fleshy but smooth soft tannins on the lingering finish.